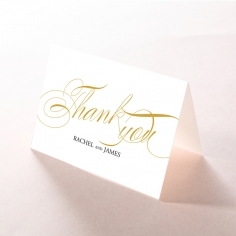 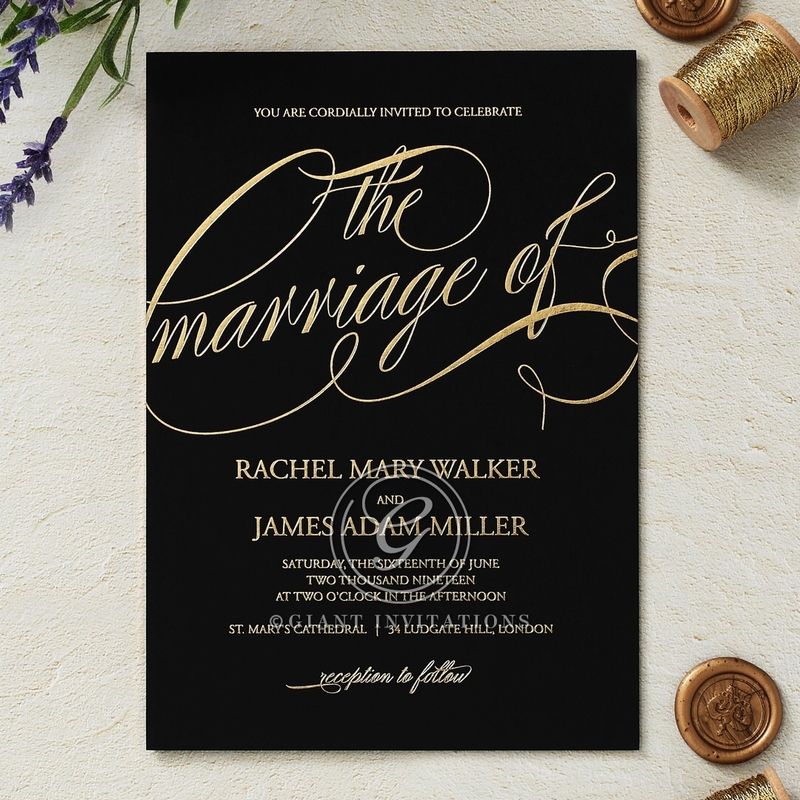 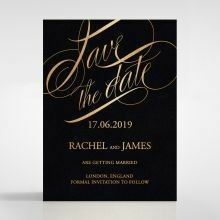 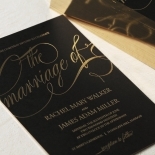 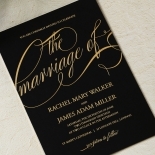 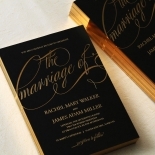 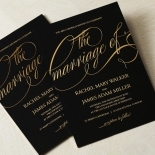 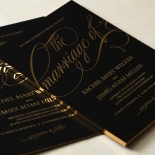 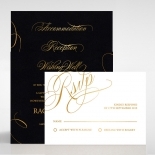 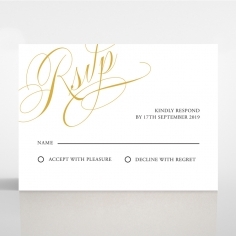 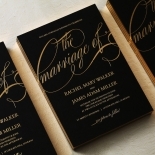 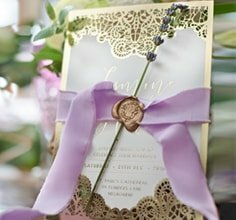 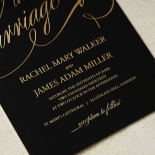 A Polished Affair is where the calligraphy is the main feature as "The Marriage Of" takes up most of the invitation in a charmingly cursive font. 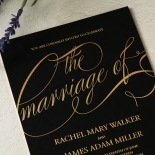 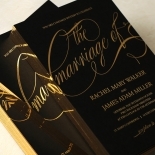 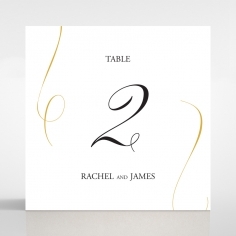 Perfect for a classy couple who want to announce their marriage in utter style, let the remarkable cursive and captivating calligraphy take center stage. 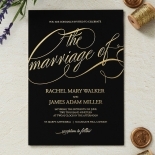 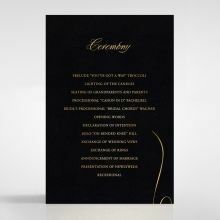 A wedding card that fanciful and fairy-tale-like will be sure to impress your guests. 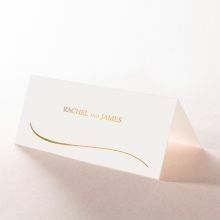 You can choose to have this design printed on the finest of paper that comes in white, navy or black and in gold, rose gold or silver luminous and luxurious foiling. 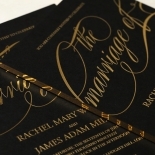 Giant's foil stamping and signature thermographic printing techniques promise you a truly magical effect. 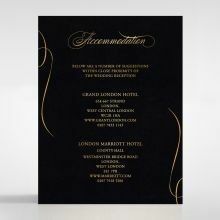 The 600gsm paper makes a huge difference. 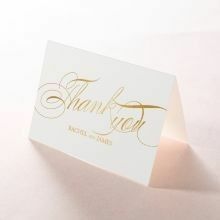 It communicates a sense of quality and importance. 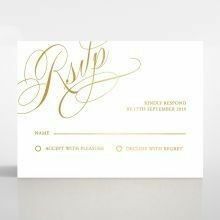 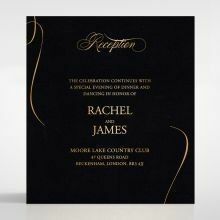 The foil stamping is perfect and so effective!We ordered many samples to look through and all have been lovely in their own way.All designs have their special difference but this one won me over completely!We will be ordering these invitations along with the save the dates and RSVP cards.Highly recommend Giant Invitations!